Emirates promo code get 20% discount on all flights! Cheap flights from Amsterdam to Bangkok, Thailand from €348! China Southern Airlines promotion – London / Rome to many destinations in South East Asia £296/€345 or Australia / New Zealand £459/€576! Top ranked Emirates have released brand new promo code in 2018. This time travelers may benefit from this amazing discount and save 20% off base fare on all flights to all destinations! This works from most of the markets such as UK, United Arab Emirates, USA, Germany etc..Emirates promo code works only when all the legs are operated by this carrier. (No codeshare flights). Note that voucher code works only for Skywards members – free to join! You can consider this offer when departing from London Heathrow, Gatwick or Stansted. Also from Manchester, Birmingham, Edinburgh, Glasgow or Newcastle. Deal works only if you book your next flight directly at website of the airlines. This voucher works on all flights you can book discounted tickets to India, Bangkok, Tokyo. Kuala Lumpur, Johannesburg as well to main airports in Australia and more..! Do not miss this rare opportunity how to book discounted deals with this carrier and take advantage of this currently working Emirates promo code 2018! You can not apply this voucher at the main page and/or if you have proceed standard search. Firstly you need to go to “Advanced search: multi city, promo codes, partner airlines”. There you will find separate box “Promotional offers”. Aply this promotion code and if it is still valid you will instantly see confirmation of availability. Simply proceed with your search and your next Emirates cheap flight will automatically receive further discount. To enjoy excellent onboard service of top ranked Emirates for less you need to look for flights in travel period from December 2018 to March 2019. But you need to make your booking (using this special promo code) by 10th of December. Once you apply this Emirates promo code you would find below “golden symbol” next to the fare type. If you can see it your next flight will automatically get 20% discount. Again this Emirates discount code is available only when departing from the United Kingdom, USA, United Arab Emirates. Germany, France, Italy, Spain, Netherlands, Belgium, India, China. Australia to all destinations in scope of this airlines. In case of booking or to read complete conditions of this Emirates promo code just follow here to the website of the carrier. 1.This Offer is only available to Emirates Skywards members receiving a personalised email offer from Emirates, who make a booking as per the name and email address registered in their Emirates Skywards profile at the time the email is sent. 2. This discount is applicable on Business Class and Economy Class tickets booked on flights operated by Emirates only. 3. This discount is applicable on Saver, Flex and Flex Plus fare brands and is not applicable on Special fare brand. 4. This offer is only available for new bookings. The eligible member must click on the link within this email, and log on to their Emirates Skywards account to avail the offer. The offer cannot be claimed retroactively or on existing bookings. 5. This offer is valid for tickets purchased between 00.01am on 21 November 2018 and 11:59pm on 10 December 2018 (Dubai time), as per the ‘Date of issue’ on the e-ticket receipt. 6. This offer is valid for travel between 21 November and 13 December 2018; and between 11 January and 31 March 2019 (all dates inclusive). Outbound and return travel is not permitted between 14 December 2018 and 10 January 2019. 7. The discount is applicable to the base fare and any carrier-imposed charges (but excluding any taxes) and can be booked only on emirates.com via the email link sent. 8. The offer code is for one-time use only by eligible member, plus up to three accompanying passengers made in a single booking. 9. 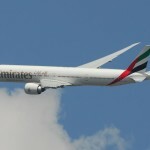 Flight tickets are subject to Emirates’ Conditions of Carriage and applicable ticket conditions, as set out on emirates.com. 10. Emirates may withdraw or change terms of the offer at sole discretion without notice or liability. 11. All other Emirates Skywards Programme Rules apply. Booking sample of applied Emirates promo code get 20% discount on all flights!! In this case you would depart from London Heathrow to Christchurch, New Zealand on 25th of February 2019. Inbound flight fromAuckland, New Zealand back to the UK would be on 19th of March 2019. You would easily save £121 just by using this working Emirates discount code. You would pay total £625.67 for a roundtrip flights from the United Kingdom to New Zealand! This is amazing discount considering service of this carrier..do not miss this rare chance and enjoy this Emirates promotion code! Remember this works only when you are member of Emirates Skywards programme.